Last edited by cadyak on Mon Aug 13, 2012 11:06 am, edited 10 times in total. I only have 3 of the UL. (show immediately below) They have all burned at least once. One of them has had a few hundred burns in it. This is "The Rock" formerly known as "The Stump" Fire Mug with my Vargo Titanium 750 Sierra. It all packs up in this coffee mug. Nice. 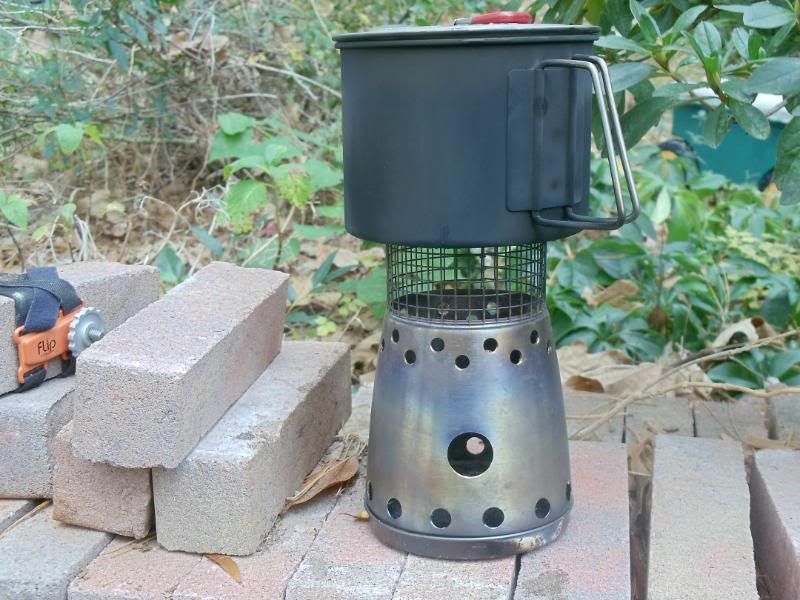 This is a wood burning stove, requiring only small twigs, that may be used with a zelph Cobalt Stove or a modified StarLyte alcohol fuel stove, for sure, and it has a coffee mug included. Have you tried it with any other alcohol fuel stoves, for alternative fuel? Nice fitting combination there Connie. Cadyak has used a modified Cobalt stove on other designs. I made some custom cobalts with top jets like the Cobalt blue Soloist without a pot support.